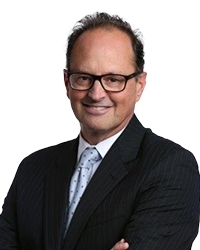 Tom Hanekamp is an accomplished litigator and trial lawyer who focuses his practice on major commercial litigation on a nationwide basis on behalf of insurers in coverage matters involving general liability, management liability and professional liability. In addition, Tom regularly counsels clients with respect to insurance coverage issues associated with D&O, E&O, EPL, ERISA and general liability claims, including those involving allegations of bad faith. For more than 20 years, Tom’s general liability experience includes matters alleging bad faith, environmental, asbestos, and other long tail exposures. Tom also has experience defending toxic tort, products liability, premises liability, and other such litigation involving bodily injury and property damage. Tom is Co-Chair of the Insurance Coverage Group at Aronberg Goldgehn. Won summary judgment in federal court on behalf of D&O and general liability insurer where insured sought more than $3 million for defense of lawsuit alleging misappropriation of trade secrets. Obtained temporary restraining order and preliminary injunction as lead trial counsel in matter involving fraudulent transfer of assets. Won summary judgment on behalf of insurer in a federal court lawsuit between insurer and corporation concerning insurance coverage under D&O policy for shareholder class-action litigation arising from restatement of corporation’s financials. Won summary judgment dismissing insurer client from lawsuit over E&O insurance coverage for a title company. Represented insurer in response to claim for coverage presented by securities firm facing multiple lawsuits arising from a Ponzi scheme. Won summary judgment on behalf of insurer in a lawsuit involving issues of successor corporation’s rights to insurance coverage for environmental liabilities. Represented insurer in response to a claim for coverage under a D&O policy where underlying matters involve FDIC failed bank litigation. Obtained a jury verdict in favor of client in a lawsuit involving alleged defective design of commercial vehicle. Tom joined Aronberg Goldgehn as a member in August 2016. Previously he was a partner at Tressler LLP, where he had practiced since 1987. He holds an AV® Preeminent rating from Martindale-Hubbell, which is a testament to the fact that a lawyer’s peers rank him at the highest level of professional excellence for his legal knowledge, communication skills and ethical standards. 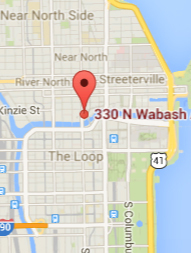 Since 2011, he has been recognized annually as a Leading Lawyer in Insurance Coverage by Illinois Leading Lawyers. He has also been named a Super Lawyer in Insurance Coverage law by Illinois Super Lawyers. Tom is a frequent author and speaker on a variety of topics, such as failed bank litigation, the subprime mortgage crisis, the proper use of experts in litigation, presenting the corporate witness for deposition and electronic discovery. Additionally, he is a long-time author and editor of a monthly e-newsletter and subsequent blog providing insight into recent case law in the specialty lines arena and their potential impact on insurers’ coverage determinations and claims handling. “Risky Lending Practices Trigger Prior Acts Exclusion,” Insurance Coverage Update, July 10, 2017. “Lawsuit Demanding Withheld Premiums Falls Outside of ‘Damages’,” Insurance Coverage Update, Feb. 2, 2017. “Suits By Same Creditor on Same Debt Deemed Unrelated, But Late Notice Bars Coverage,” Insurance Coverage Update, April 7, 2017. "New Developments in Bad Faith Law," a private client seminar, June 2018. “Consent Judgments – Considerations Before and After Entry” in the D&O/E&O context, private client seminar, April 2017. Tom served on his local school board for three years, and is a volunteer at Hesed House, a homeless shelter in Aurora, Illinois. Tom and his wife, Nada, live in Chicago, and they have two adult children – a daughter living in New York City and a son living in Atlanta.